It was so gratifying to work on a website for such a great organization. 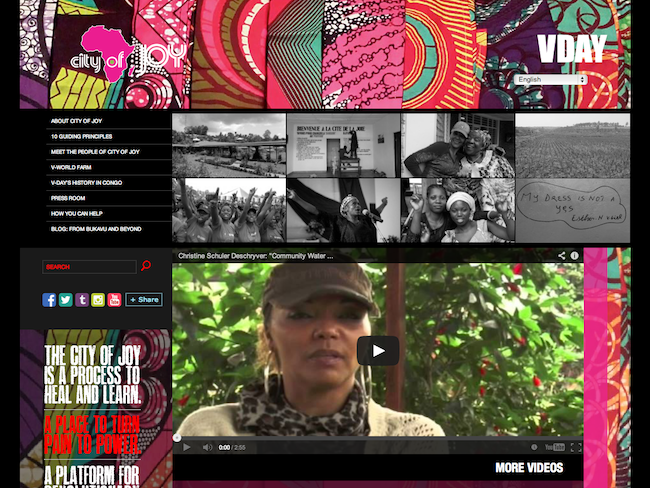 V-Day is Eve Ensler’s project dedicated to ending violence toward women and girls. City of Joy serves women and girls in the Democratic Republic of Congo, which is a very dangerous place to be female.